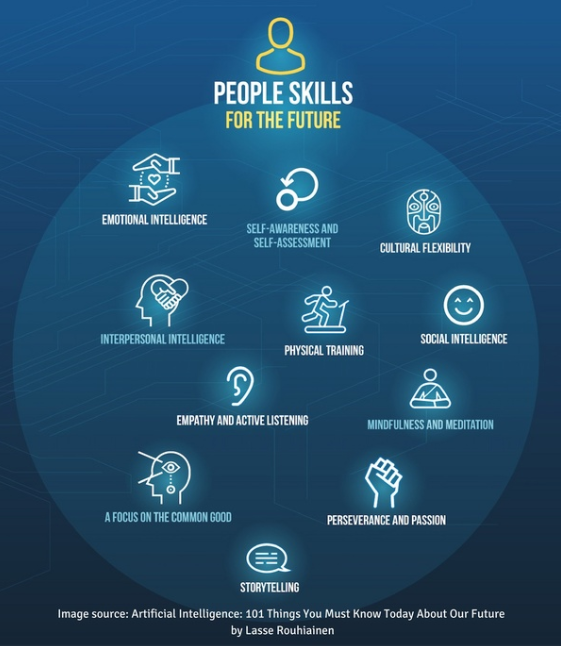 Skills considered of the future. In physics, a force is said to do work if, when acting, there is a displacement of the point of application in the direction of the force. Okay, that sounded complicated, lets try and get a better understanding of what work is. Work can be defined as an activity involving mental or physical effort done in order to achieve an intended purpose, result or goal. A Lot of things have changed in the workplace. Most of our parents lived in the industrial age. Work in those particular days was more physical and demanded a lot of masculine activity. Those who had a privilege to work and earn had to do so in factories or in farms during the Agrarian revolution. Because of the masculinity effect, that is perhaps the reason in African traditional society that men went to work while their women stayed back to guard the homes and children. We have really made some strides towards civilization. Since the emergence of the Internet, we are living in the information and new media age. This has completely revolutionized the definition and even the way work is done. For instance, the Internet has made the world a global village. We can now have a skype meeting with several people across the world, we can also work on a similar project at different locations. The project manager might be somewhere in Africa while the designer the software developer are in Russia and Belarus respectively, yet all of them report to a client in the islands of Fiji. Despite of these advances, it is still unclear for a human being to predict how future workplaces would look like. Some people have predicted that artificial intelligence will take over most manual jobs: software robots replacing people in many jobs, others feel that virtual and augmented reality will change the way we see and interact — with the world. Just in 2017, Google and Uber started competing fiercely to produce driver-less vehicles that might disrupt how we travel. On a personal opinion, I feel the gig economy will be on the rise. More people will move to the freelance side to increase efficiency and have more freedom. In the next 10 -20 years we will see a continuation of these patterns. The world around us changes with each passing day, so we need to devise mechanisms on how to adapt to it. We all agree that the digital age came with the rise of technology and it has been around for quite some time now. On the other hand, many people still find it difficult to get used to it. Most of the older generations aren’t at the same level compared to millennials and baby boomers. However, if you want to prosper especially when it comes to work, you can’t stay ignorant. The most important rule that needs to be obeyed is to never stop learning. Lifelong learning is essential. I know it sounds weird on why you should keep on learning new things in life. You might ask me, ‘can’t one just be contented with what they already know?’ Think of it this way, 10 years ago smart-phones weren’t a thing and now they are an essence of our existence. Then think of people that cant or wont use them, not because they can’t afford them. The only reason they are unable to use is because they do not have the required skills. These skills are not taught in school. They’re just acquired by practical association with gadgets such as mobile phones, computers etc. Every skill counts. Yeah this one sounds weird too. Only because you do not work in a techy environment, this does not mean that computer skills aren’t important to you. You might not know when something might pop up for you to take advantage of that skill that you are ignoring. What if you are using your office wifi and you need to restart the router? Will you be forced to contact your IT administrator? If by any chance you are running any business, small or big, as a business owner you should be able to know how to interpret data. It will be much easier to manage your work, to collect data, to analyze, to collaborate. So use everything that you possibly can in order to improve your skills and make your job easier. This will enable you to make informed decisions about your business or company. Let us say you selling shoes, you should be able to tell between Facebook and your Whatsapp status what has brought more clients for you and how to boost one that isn’t leaving to its potential. Creativity will be core. I don’t believe technology(robots) will take away our jobs. This is what will happen, people who know how to use technology will take jobs from those who are reluctant. The more creative you are, the less likely you are to lose your job to a robot! For example, if you are a programmer, learn how to program robots so that they can perform some of the basic tasks. See you still have your job, you just applied a simple creativity to keep it for some more years. Robots may be better than you at calculating and diagnosing problems, they aren’t very good at creating original content, thinking outside the box or being abstract. This is where you can take advantage off. The question we need to ask ourselves is whether people will stick to a single job or they will work simultaneously to increase freedom and effort? Will companies still have full-time employees come into the office to complete projects? I understand, in some sectors such as manufacturing people might be needed there physically to perform one or two tasks that are not automated yet. Someone asked me if this was really a skill. Since skills are constantly changing, you have to learn how to learn. This concept is so important that they had a dedicated course on Coursera. It might not be a skill, but it’s basically a concept that will enable learn how to cultivate an attitude that enables you to learn a new skill.